Pieter Bakker and his son Scott on the Altnahara Estate in Sutherland. The remote Sutherland hamlet of Altnaharra now has among the fastest broadband speeds in Scotland – thanks to an unique partnership with Openreach. New full-fibre cables are now live, with around 60 Altnaharra households and businesses now able to order broadband services with speeds of up to 330Mbps*. 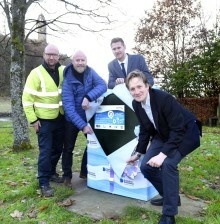 The first ultrafast fibre services have also gone live in Skerray, with engineers from Openreach, Scotland’s leading digital network business, continuing work over the next few weeks to reach more Skerray households and outlying Altnaharra properties. As part of the ultrafast pilots, local people and workers from the Altnaharra Estate have helped to dig in around 4,800 metres of cable. 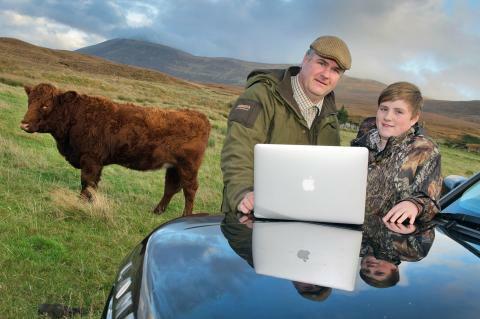 Until now, due to the high costs of bringing faster broadband to very small communities in remote areas, many of the villagers have been making do with some of Scotland’s slowest connections of around 0.5Mbps. One of the first to benefit is the Altnaharra Hotel, a 17th century old-world hotel and cottages set near the shore of Loch Naver in remote Highland countryside. And the new ultrafast service is already proving transformational. Hotel manager Becy Robertson said: “Our original broadband was truly snail pace at around 0.53Mbps – we had a hub in the office and guests would sit in the library beside us trying to get connected. We’d have a group of cyclists all trying to update their online blogs, while office staff could not even print a menu! “So when we had the big surprise that we were going to be getting ultrafast, it was Christmas all over. We now have fibre in the office with a download speed of 80Mbps and upload of 20Mbps and it makes a big, big difference. Pieter Bakker, estate manager of the 36,600-acre Altnaharra Estate, agrees. With a wide range of interests from environmental land management, renewables and holiday home rentals to forestry, farming, deer stalking and fishing, the Estate is a vital source of employment for the surrounding Sutherland community. Its new ultrafast connection is proving a big hit, both at work in the Estate office and with Pieter’s wife, Antonette, and children, Christina (15) and Scott (13), at home. Pieter said: “The difference the fast connection has made is massive. For the first time, I can download and upload documents and forms from work-essential websites like the Scottish Government’s Rural Payments and Inspections Division and Scottish Natural Heritage, and send emails in seconds. “It’s made all kinds of online paperwork easier – previously I’d spend hours trying then checking to see if my message or form had eventually been sent…often not. Despite having two separate connections, no-one else could be online at the same time as it would totally grind to a halt, which often meant working at night to avoid an internet freeze. “Now I can check things like weather forecasts and river levels instantly. Sending images and files has proven hugely successful and is saving time all round. It also means that I don’t have to limit anyone else in my household from using the internet. Openreach has funded the two pilot Fibre-to-the-Premises (FTTP) projects in Altnaharra and Skerray, building fibre from new nodes off main fibre spines direct to local properties, with both communities helping with digging work. Openreach chief executive Clive Selley said: “We promised the people of Altnaharra and Skerray their new ultrafast services by this autumn, and we’ve delivered to the majority in Altnaharra ahead of schedule and are on track in Skerray. 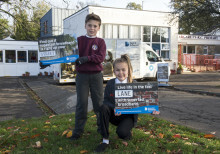 “They’ll see their internet connections rocket from some of the slowest speeds in Scotland to some of the fastest, and it’s great to hear that the first local residents and businesses are already making use of the new, ultrafast network. During the installations, Openreach is testing new equipment designed to bring down the costs of delivering Fibre-to-the-Premises, such as the Ditch Witch – a digger which provides a quicker, more efficient way to bury armoured fibre cable. On the back of the work in Sutherland, these techniques are now being used elsewhere in the UK. 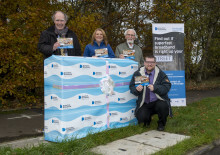 The community of Murieston on the outskirts of Livingston celebrated the arrival of more high-speed fibre broadband this week - as Councillor Lawrence Fitzpatrick and local residents helped the Digital Scotland team unveil a new street cabinet. More local coverage will follow as engineers from Openreach – Scotland’s digital network business - continue work on the ground in West Lothian.